My kids always seem to get sick the first few weeks of school and I’d love to avoid getting sick myself! Thanks to Nature Made® I can feel my best during this time of the year when germs seem to surface. 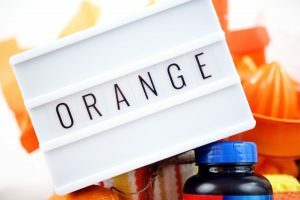 I’m planning to gift a few of my favorite mom friends an ‘Orange You Glad We’re Friends’ gift basket along with the Nature Made® Vitamin C Chewable Tablets and Nature Made® Melatonin Adult Gummies from Walmart, so they can feel their best at the start of the school year, too! Nature Made® gives you the assurance that you’re getting the nutrients you seek from your gummies. I found Nature Made® at my local Walmart store. 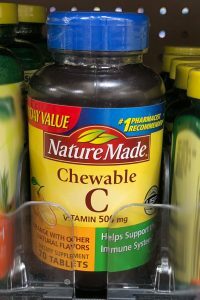 I picked up a bottle of the Nature Made® Vitamin C Chewable Tablets first. Vitamin C is an antioxidant that helps support the immune system and helps neutralize free radicals in the body.† I want to support my immune system as much as I can during the first few weeks of school. 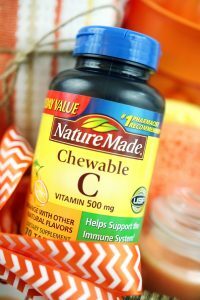 Vitamin C also aids with the absorption of iron.† I love these chewable tablets, because they have a delicious orange taste with other natural flavors. This gift basket is easy and so much fun to create! 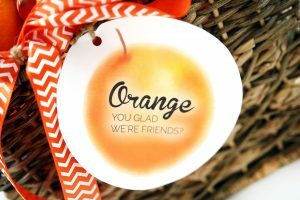 You can find a free printable for the ‘Orange You Glad We’re Friends?’ tags HERE. 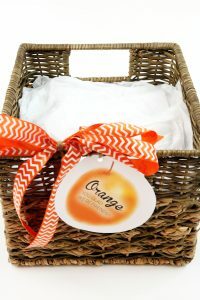 I tied the ‘Orange You Glad We’re Friends?’ tag onto the basket and added a big orange bow. I then stuffed the bottom of the basket with some tissue paper. 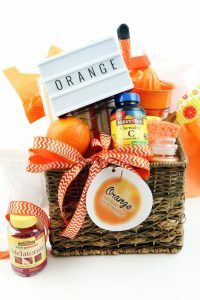 For this particular gift basket, I wanted the items in it to be orange, since Vitamin C makes me think of that particular color. It is also a bright vivid color, perfect for a gift basket! It was a lot of fun finding orange items in Walmart and my son helped me! The first group of items were snack items. 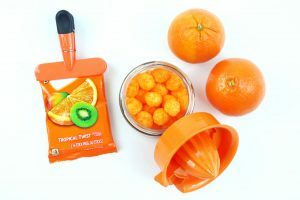 Fresh oranges, orange gum, orange cheddar balls that I put inside an orange colored juicer. Then I looked for some practical items. 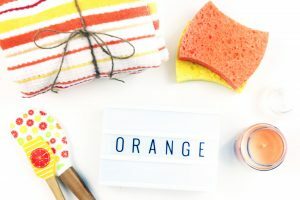 I went with items that would work in the kitchen, such as orange towels, sponges, a candle and even some cute orange spatulas. This orange letter board was something I found in the school aisle and it has a magnet on the back of it and can be hung in a locker or on a fridge! I decided to spell out the word ‘Orange’ on it. 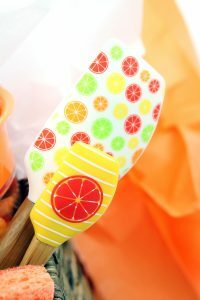 These spatulas had slices of oranges on them, so perfect for this gift basket. I also added the Nature Made® Vitamin C Chewable Tablets and Nature Made® Melatonin Adult Gummies to the gift basket. I’ve always believed that a well-functioning immune system is foundational for your health. How do you stay healthy during the first few weeks of school? 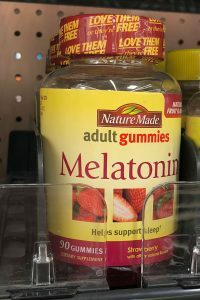 Be sure to stock up on Nature Made® Vitamin C Chewable Tablets and Nature Made® Melatonin Adult Gummies from Walmart before the school year kicks off! 3. Fulgoni VL, Keast DR, Bailey RL, Dwyer J. Foods, fortificants, and supplements: where do Americans get their nutrients? J Nutr. 2011;141:1847-54.